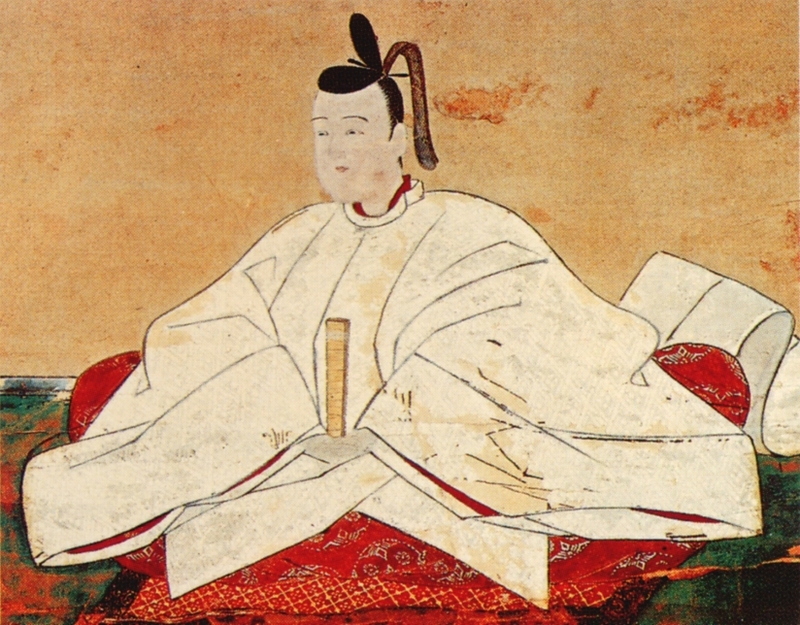 The second of the Three Great Unifiers of Japan Toyotomi Hideyoshi began life as a foot-soldier who rose in the ranks to become a samurai, general, statesman and eventually ruler of Japan. 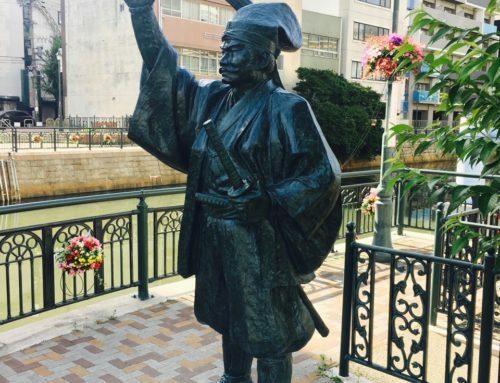 Toyotomi Hideyoshi was born in the village of Nakamura, (Nagoya City, Aichi Prefecture) in 1536. His father, Yaemon, died shortly after his birth, and his mother remarried a lowly samurai who treated the boy severely. As a child he was sent to a nearby temple to become a priest, but absconded at the age of 15 to join the army of Matsushita Yukitsuna as an ashigaru foot soldier. In 1558, Hideyoshi was given six ryo, a fair sum of money, to purchase a coat of chain-mail for his master. 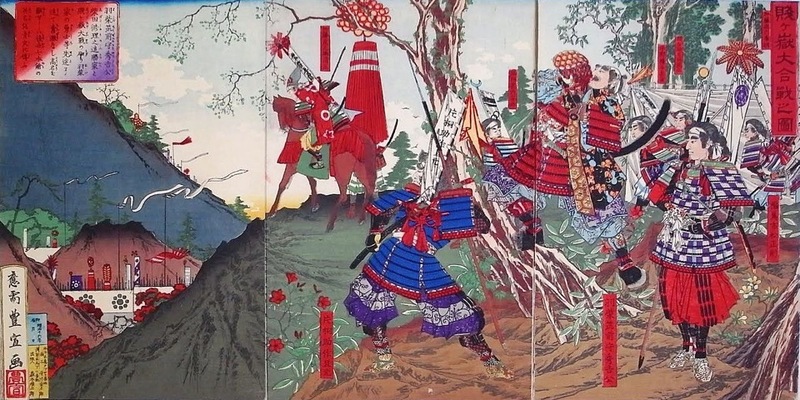 However, the young samurai used the money to buy himself light armor and weapons and returning to Owari (Aichi Prefecture) entered the services of Oda Nobunaga as a sandal bearer. The story is well known that one cold winters’ morning, Hideyoshi put his masters’ straw sandals inside his kimono to keep them warm. 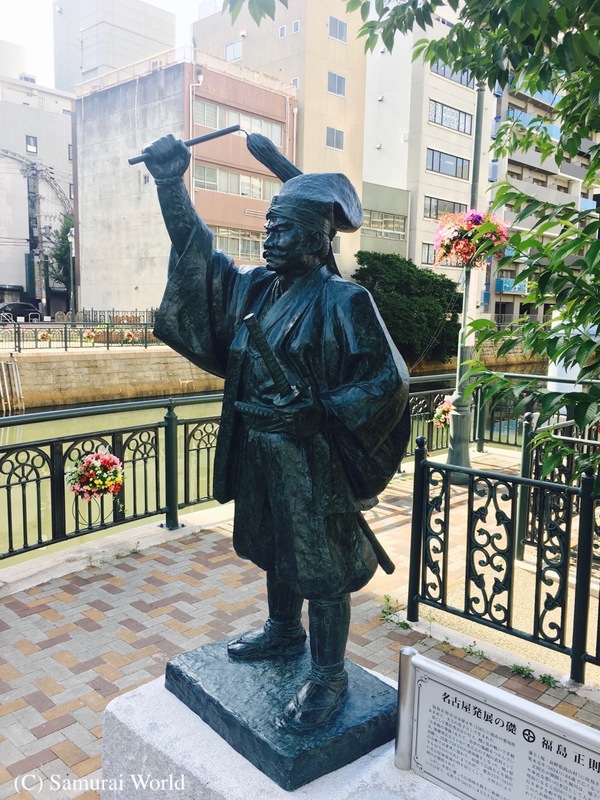 This story too seems to be mostly fiction, but does explain how Hideyoshi came to the attention of Nobunaga, who, impressed by his attitude, rewarded him well, noting his intellect and promoting him as he rapidly distinguished himself. 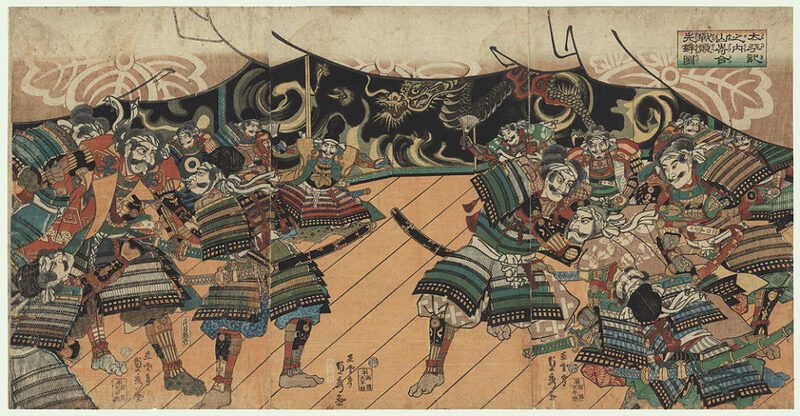 Hideyoshi was present at the Battle of Okehazama, the siege of Inabayama, the Battle of Anegawa and a number of Oda led skirmishes. 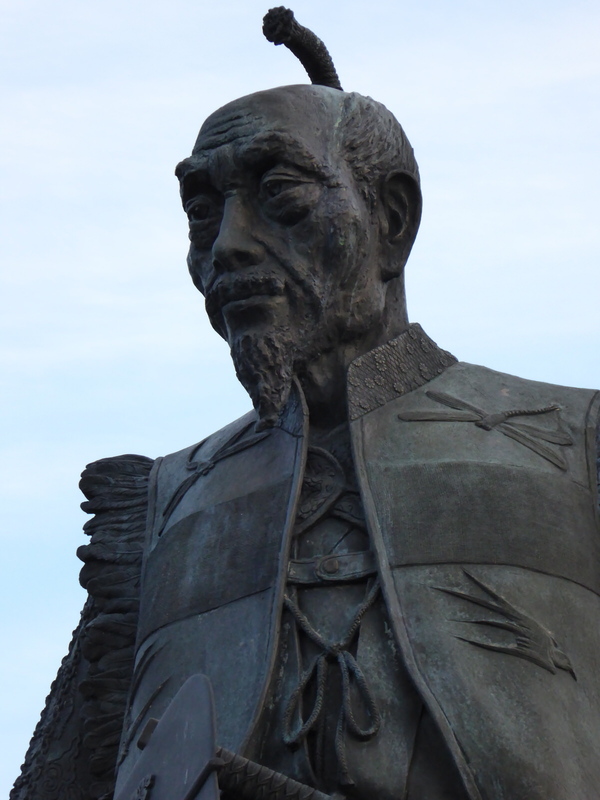 Hideyoshi was in the south-western regions of Japan laying siege to the Mori clan held Takamatsu Castle when he received word of Nobunaga’s assassination. 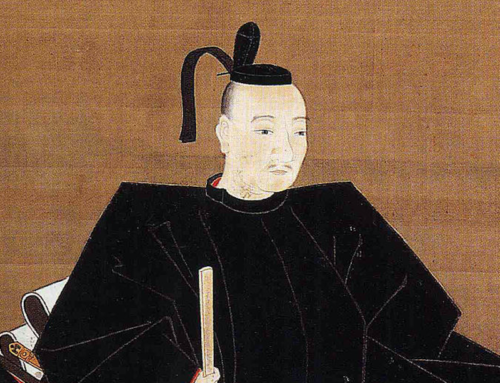 Nobukatsu was next to find fault in having Hideyoshi hold the reigns of his fathers’ hard won estates and turned to Tokugawa Ieyasu for assistance. 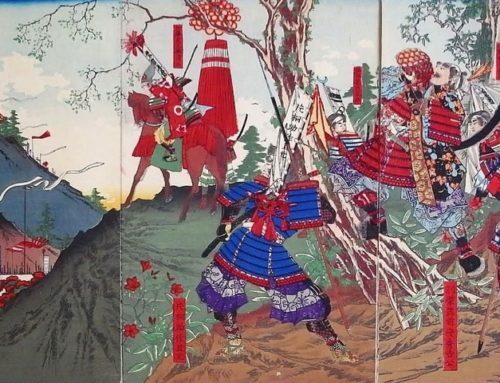 The Tokugawa and Toyotomi armies faced off at Mt. Komaki north of Nagoya, and a battle was fought around Nagakute. 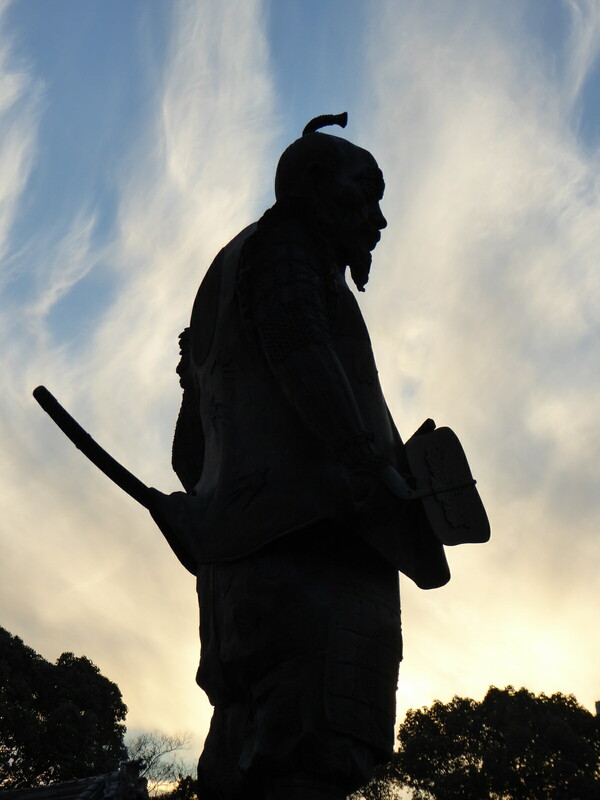 Through negotiation, Hideyoshi was able to sue for peace, after which he returned to Osaka to begin occupying himself with the building of the magnificent Osaka Castle. 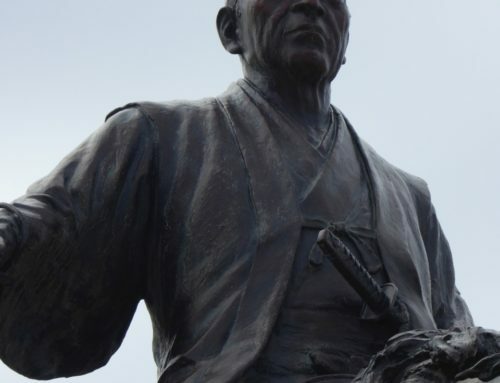 With the nation at peace, and many hundreds of thousands of samurai warriors now idle, Hideyoshi launched two major campaigns against the Korean peninsula. When these men returned to Japan, however, they found political circumstances had changed dramatically. 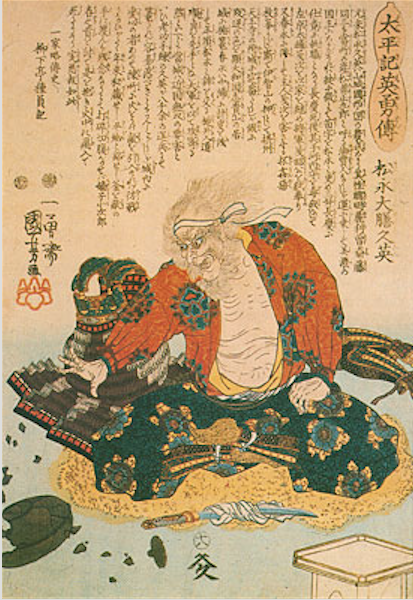 Hideyoshi had appointed a board of five regents, the Go-Tairo, to rule in his son’s stead. It was the actions of one of those regents, Tokugawa Ieyasu, who would again bring the nation to civil war, and then emerge victorious. 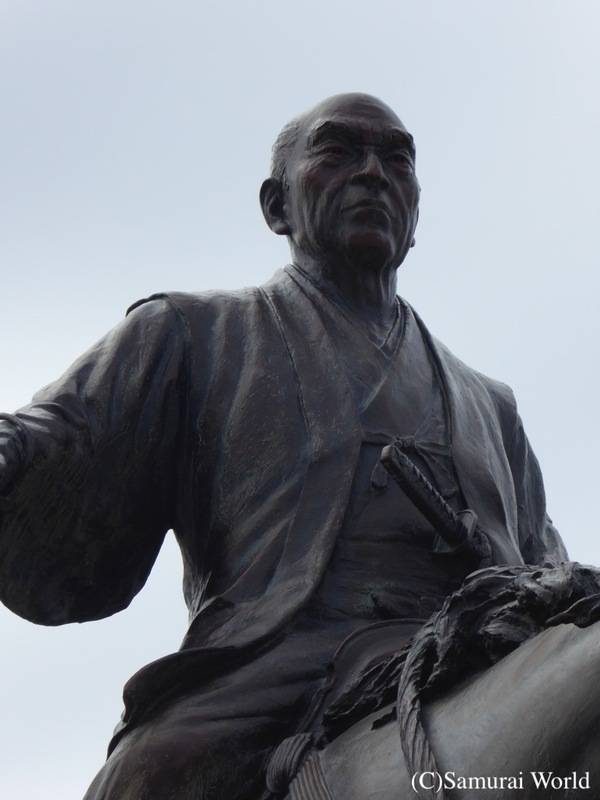 Toyotomi Hideyoshi was not a physically strong man. He had risen rapidly from being a lowly sandal-bearer to one of the most respected strategists in the land by merit of a strong intellect that allowed him to take over the helm from Nobunaga and eventually unify the nation. 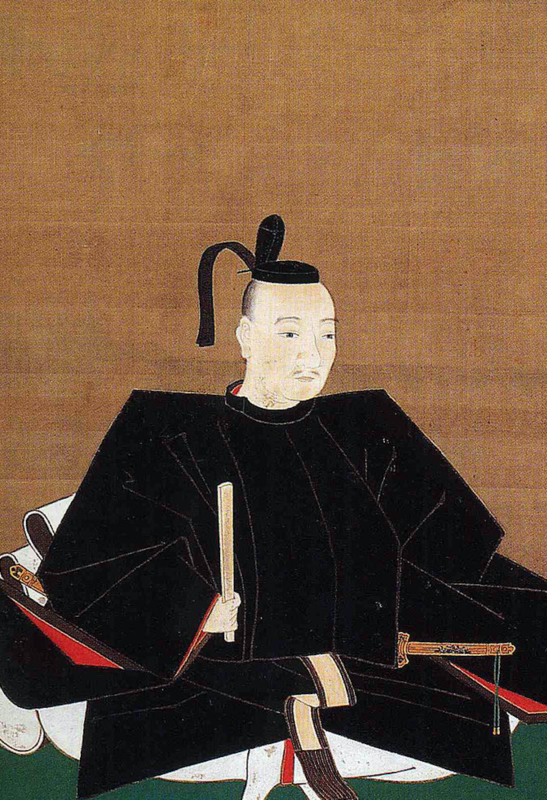 Hideyoshi stood 154cm high, and had type O blood. He is said to have had a birth defect having 6 fingers on one hand. Although he is often shown sporting a beard, he was unable to grow one himself, and so the beard was a stuck-on hairpiece. 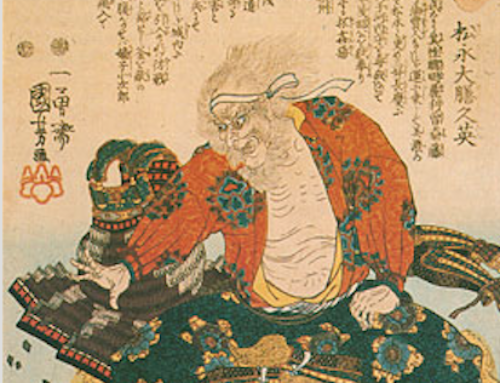 History books tell us his liege, Nobunaga, called him Saru, or Monkey, however that is apocryphal, as diaries and letters show Nobunaga referred to him as the “Bald Rat”.